Recently Google deprecated Mapplets, which are little applications that ran on Google Maps. 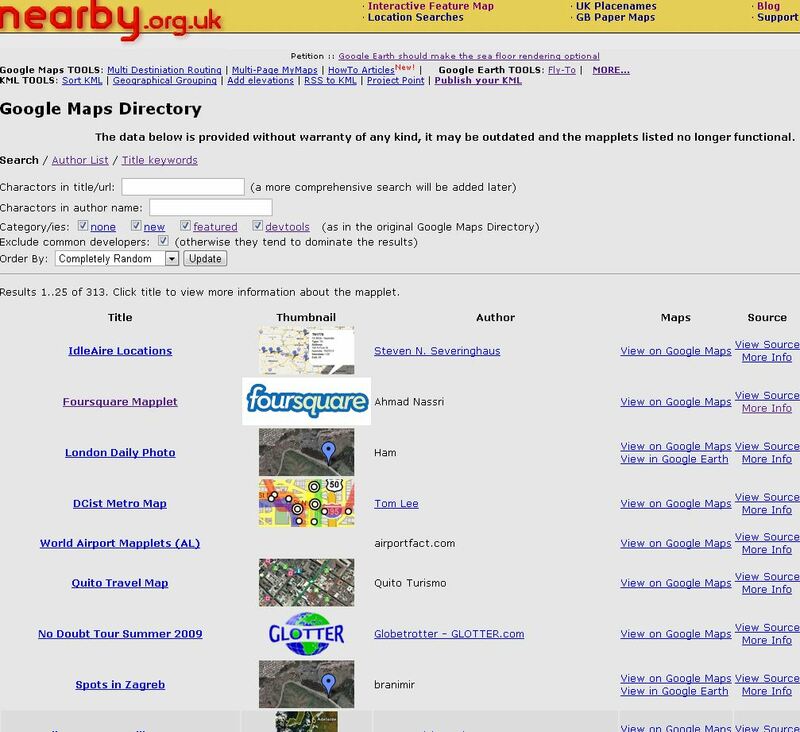 They have also now removed the Google Maps Directory. However its still possible to run mapplets by a dedicated page (well at least for as long as V2 of the Google Maps API exists) – but no listing of mapplets available within Google Maps. Admittedly the quality of the applications in the directory where always kinda variable, but there is some real gems in there, so at least preserving a listing I think is worthwhile, so they can be accessed if needbe. This entry was posted on Saturday, December 18th, 2010 at 10:13 pm	and is filed under Google Earth, Google Maps, KML, maps, Search. You can follow any responses to this entry through the RSS 2.0 feed. Both comments and pings are currently closed.